What is a green burial or natural burial? A natural burial, or green burial, focuses on an environmentally sustainable and organic way to conduct the disposition of a deceased body. The deceased is not embalmed, and the body is interred into the ground, using only a biodegradable coffin or shroud. The deceased is buried directly into the earth, without a concrete burial vault, or any metal parts on the coffin. The aim is to allow the body to naturally decompose and return to the soil, as in the phrase so commonly used around death of “ashes to ashes, dust to dust”. 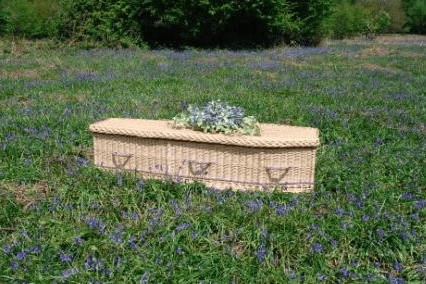 Why opt for a natural burial? Green funerals have been around for some time. Indeed, what we know as a traditional American Funeral, was closer to being a natural burial in the mid-19th century, when undertakers built wooden coffins and interment was direct into the earth. Some faiths practice only natural burial, such as Muslims and Jews, where beliefs mandate a natural, organic approach to death care. Natural burial is experiencing something of a revival today. It is gaining more attention in states where there is also a greater awareness, and undertaking, to be more sustainable and protect our planet and its resources. Those who opt for a natural burial are often seeking a more simple and holistic approach to death care. They want funeral arrangements that are simple, have minimal intervention on the body, and provide a lasting green impact on the planet. There are options for the deceased to be buried with a seedling, allowing a tree to grow from the remains of someone who passed. This does seem a wonderful legacy to re-oxygenate our planet and have a long-term memorial arboretum. According to the NFDA 2018 Cremation & Burial report, a typical traditional funeral, including casket, embalming and burial vault costs $8,755, and this is without a cemetery plot fee. Items such as embalming, a casket, a burial vault and a plot in a perpetuity in a designated cemetery, are all costly. A natural burial works out much less expensive as none of these items are required. Every year the U.S. buries 17,000 tons of steel and copper in vaults, 90,000 tons of steel in caskets, 30 million board feet of hardwood and 1.6 million tons of concrete. A natural burial is not demanding on our resources as fewer resources are consumed. Cremation, which has become more popular over the last decade, requires the resource of gas, so although sometimes considered more environmentally-friendly, it is still consuming a natural resource. A green burial also helps to conserve our natural areas, and even create new natural forests and meadows. Formaldehyde which is used in embalming fluid is a hazardous chemical. It is a known respiratory irritant and carcinogen. Aside from embalming fluid absorbing into our planet as a body decomposes, it is not safe to expose funeral home workers and morticians to this hazardous substance on a routine basis. 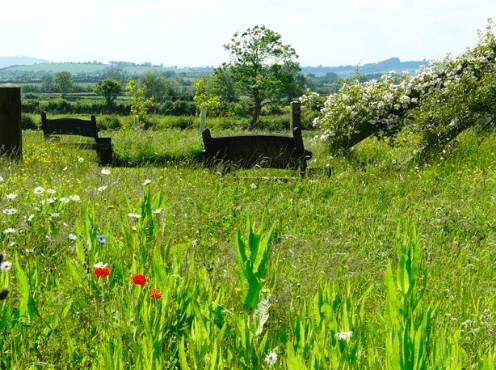 Can a natural burial be affordable? Yes, a green burial or natural burial, is significantly more affordable than a traditional funeral. The need for the embalming process, an expensive casket, and a burial vault are all eliminated. The costs for a simple cardboard container to hold the deceased, a simple pine coffin or a muslin shroud are way less than a steel or copper casket. There are some natural burial sites that offer interment at very affordable prices. It is fair to say that a simple, natural burial can cost between $500 – $1,500. How do I choose a green burial site? There are certain things you need to consider if you are seeking a green burial site. Do you want a bespoke natural cemetery? Or a specially-designated ‘green’ section within a conventional cemetery. This is what is known as a ‘hybrid’ green burial cemetery. There are more conventional cemeteries that are adding green burial sections to cater for the demand for a natural burial. Some of these cemeteries may still have plot fees that are considered more expensive than a conservation natural burial ground, as they still have costs associated with cemetery ground maintenance. If you are interested in a ‘wild’ conservation area burial site, then you need to be more selective in which site you choose. Click here for a list of all green burial cemeteries in the U.S.
What is there is no green burial cemetery locally? You can consider making a burial in a cemetery greener by choosing not to have embalming performed, and using a biodegradable casket. If the cemetery will allow it, you can choose not to use a concrete burial vault. If the family owns rural land, you can consider a home burial. Most states allow natural burial on private property. Each county has its own zoning requirements, so you would need to apply for the correct permit. Just bear in mind that unless you have established a protected family cemetery on the land, if the land-use should change, the remains could become inaccessible or disturbed. Do I need a funeral director? And, how do I choose a funeral company for a green burial? In most states, you do not legally need to employ a funeral director. It is just convention that we do. There are 8 states that have legislation that stipulates only a funeral director can transport the deceased and obtain the necessary permits and death certificates. If you have decided on a natural burial for a family member, in the 42 states where you do not legally have to use the services of a funeral director, you have the option to conduct a family-led funeral and transfer the deceased to the natural burial ground for interment. Most funeral homes can assist you with a green burial option if this is what you choose. There are also several funeral companies that are specialized in offering natural burial options. How do I choose a receptacle for a natural burial? You need to choose a biodegradable container. This can range from a plain wooden coffin, reinforced cardboard container, wicker basket to a simple muslin shroud. It is all about what is right for your loved one, and your family. A wooden coffin is likely to cost more but is easier to safely transport. Reinforced cardboard containers can be purchased at a low cost, and can be hand-decorated with messages by family and friends before being interred at a burial site. Shrouds offer very limited support for transferring the deceased to a cemetery, but have the most minimal resistance as a biodegradable barrier. What kind of memorial marker can be erected in a green burial cemetery? This depends on the burial site. If it is a hybrid green cemetery, you may be able to erect a conventional grave marker. In conservation natural burial sites, the objective is to minimize the impact on the natural terrain. Therefore, markers are typically only a simple natural rock or native plant. Some green burial sites will offer some plaques that sit very flush with the ground. Most natural burial sites with offer grave locations recorded by GPS, so that you have a permanent ‘marker’ of the gravesite location. What does a natural burial cost? The cost of a natural burial varies by region and what type burial site you opt for. In general terms, a green burial for a body will range from $1,000 to $4,000. Interment of cremated remains in a natural burial site is likely to cost between $200 and $1,000. 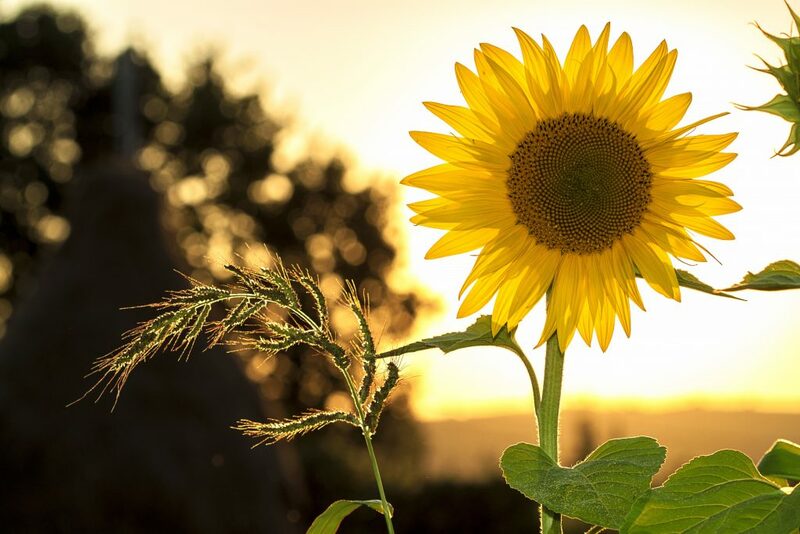 Although a natural burial can be achieved at a fraction of the cost of a traditional burial, some funeral home charges for a green burial can seem expensive. A funeral home will use a simple pine casket, that they will likely mark-up. You can purchase, or make, your own container, as the funeral home must accept any ‘appropriate’ container you provide. This can make a significant saving on the cost for the burial. A natural burial is a very simplistic and humanist approach to death care. Many families who opt for a natural burial feel strongly about being in control of the process, and the ritual, of death care.